Once again SPSCC played just six players – five played more than 39 minutes – but fought and stayed with a full squad only to run out of gas at the end in a 70-62 loss to Centralia at the SPSCC Gym. Brian Tyson scored 18 points with eight rebounds to lead the Clippers in the loss. Tyson, Keegan Liebelt and Brandon McGurkin each played 40 minutes and Jonathan Roberts got just a seven second break. Slanblaytee Kaye played 39 1/2 minutes but fouled out late in the game. Brandon Logan replaced him and played 39 seconds total. Roberts scored 14 points and Kaye scored 17 with eight boards and seven assists a game after his triple-double against Grays Harbor. The Clippers fell to 1-5 in the NWAACC West and 1-13 overall. Centralia improved to 2-11. LaKeisha Anger scored 15 points with 13 rebounds and Maria Jesse and Wakeena De La Cruz each chipped in 14 points but Centralia hit seven 3-pointers in the second half to erase a five point halftime deficit and take home a 71-64 win. Ashley Stancil added 13 points for the Clippers in the loss. 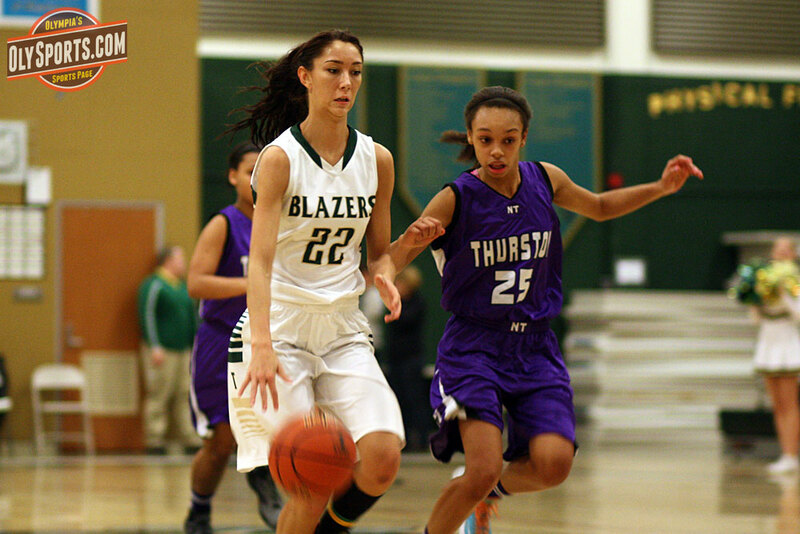 Karina Gee scored 25 points on 7-of-10 shooting from behind the arc for the Trailblazers. The Clippers fell to 2-4 in the NWAACC West and 3-12 overall. Posted on January 16, 2014, in Basketball, College, High school, North Thurston HS, Olympia HS, South Puget Sound CC, Timberline HS. Bookmark the permalink. Leave a comment.